Tai Shan [from 1987's Hold Your Fire] is one of the worst, easily. And Panacea [part of the epic The Fountain of Lamneth, from 1975's Caress of Steel]. It was an attempt at something that didn't really work out. It was ... innocent. 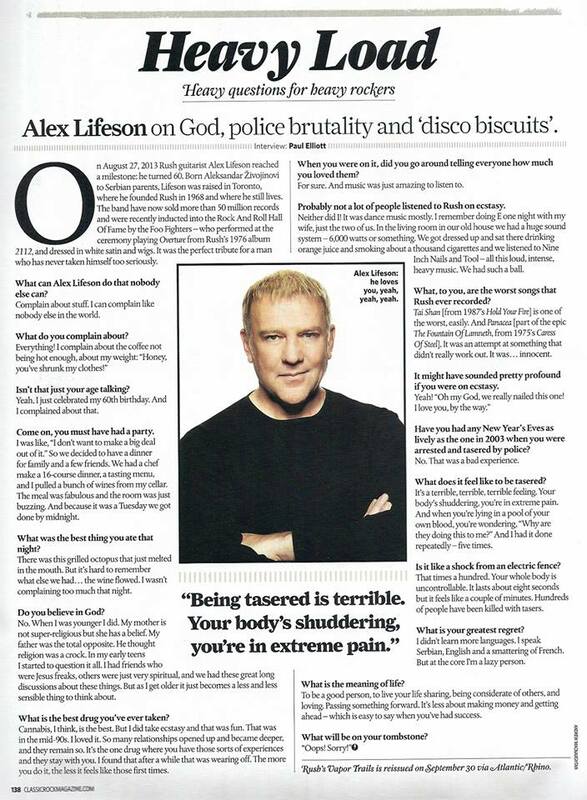 Alex also tells a great story about taking the drug ecstasy with his wife, and when asked what will be written on his tombstone he replies, Oops! Sorry!. 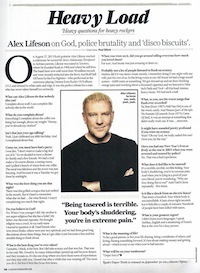 You can read a scan of the entire 1-page interview here. The November, 2013 issue of Classic Rock has started hitting subscribers mailboxes and should be on sale at newsstands later next week. Thanks to Geoff C for the heads up and scan.